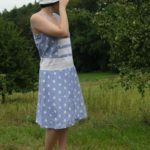 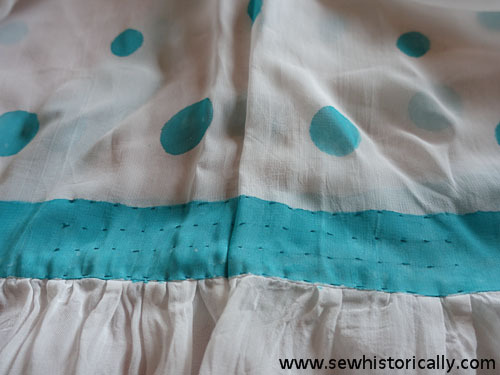 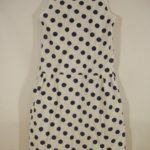 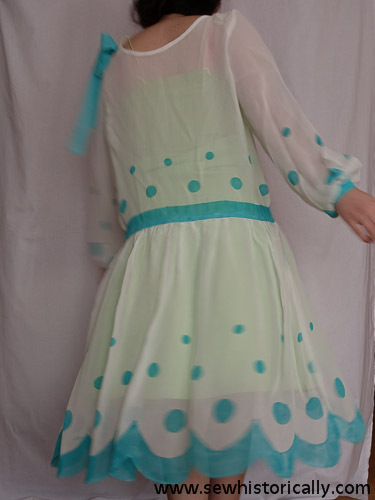 I sewed and hand-painted a sheer rayon dress to recreate this fashionplate of a pretty 1929 polka dot dress. 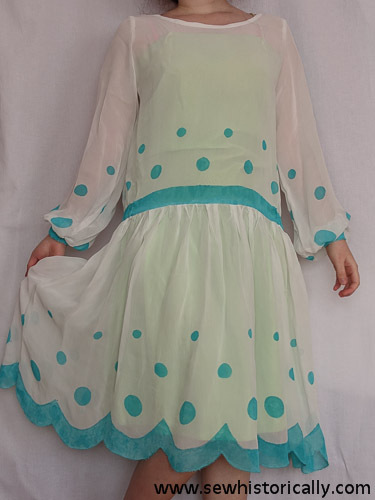 I wanted the dress in bluish mint green and white. 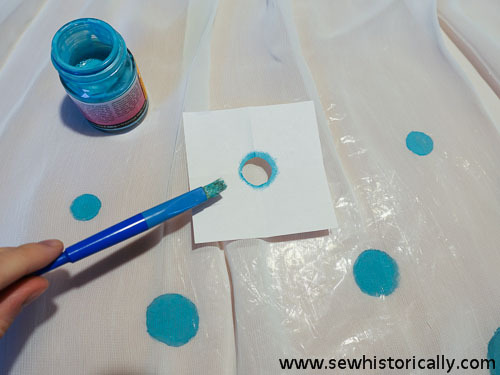 So I used fabric paints in green, blue and white, and thickener to mix the color I wanted. 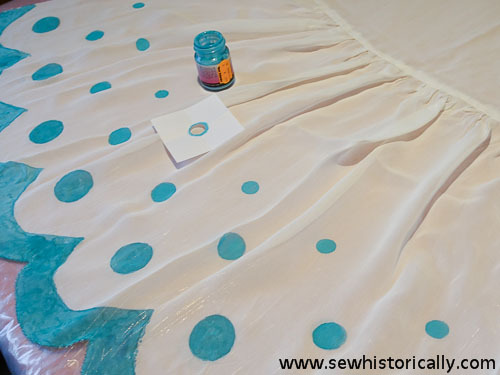 I finished the dress partially, but left the side seams open for the painting process. 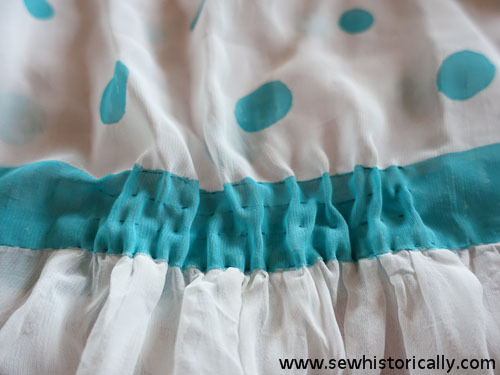 The scalloped hem is finished with a 1920s imitation picot hem. 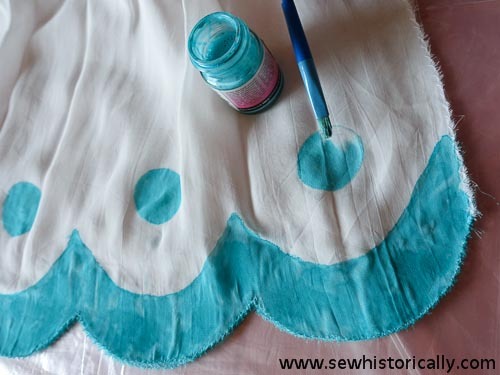 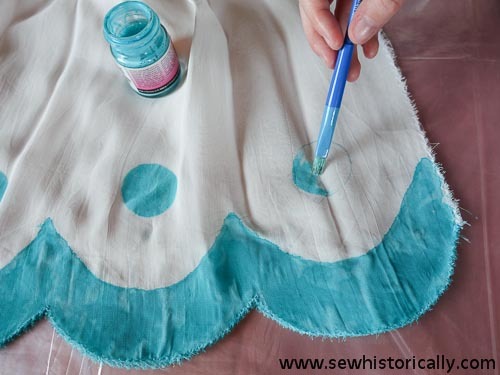 … cut out paper stencils to mark the position and size of the polka dots. 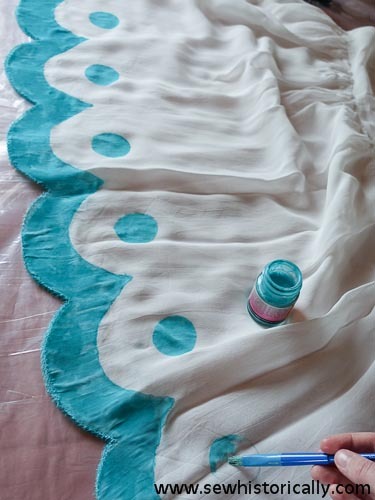 I gathered the waist at the sides with running stitches, otherwise the dress wouldn’t hang pretty. 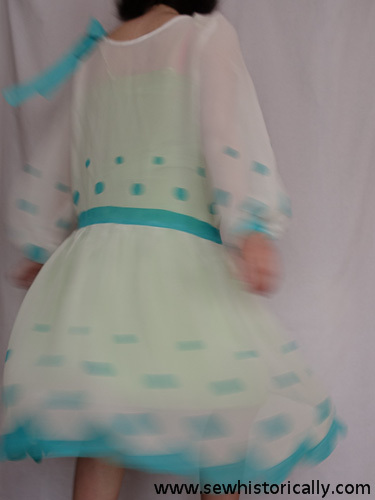 I’m wearing the dress over an apple-green slip. 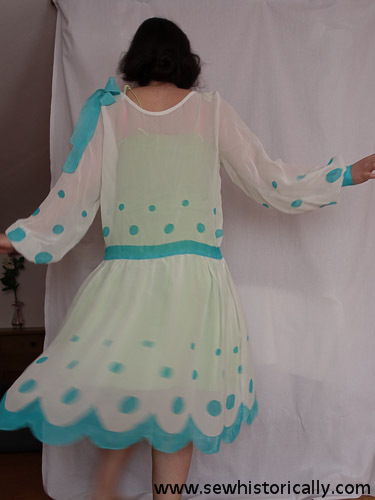 As you can see, the dress is very sheer. 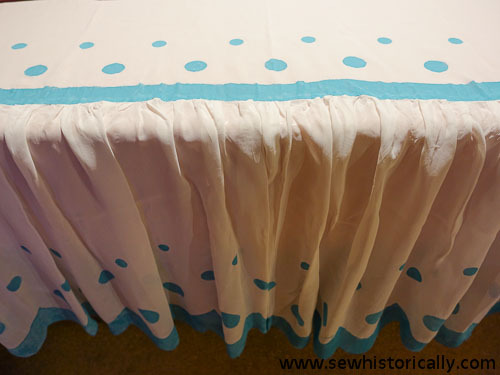 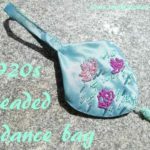 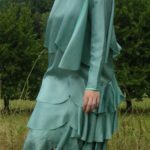 I used a 100% rayon chiffon fabric, a fabric which was already used in the 1920s. 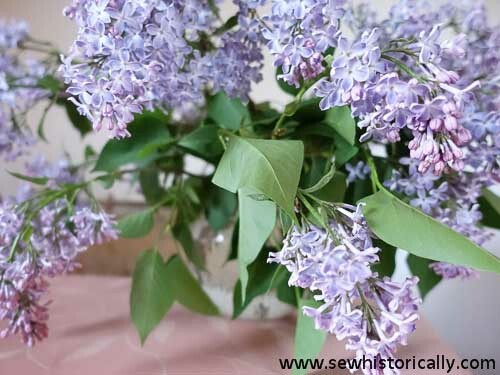 And a lilac bouquet I gathered yesterday.